I've been working on a little (microscopic?) DIY project and wanted to share with you all! The inspiration for this project comes from Wellcome Trust Centre for Cell Biology Public Engagement Manager Sarah Keer-Keer at the Univeristy of Edinburgh. While doing my BSc there, Sarah was one of the first people to help me get involved with science communication, and I had the chance to go back and visit this past October! During my visit Sarah showed me fascinating projects she's been working to communicate science. I've always appreciated Sarah's powerful ability to mix art, stories, and science to engage all kinds of learners. She showed me one amazing project that had been run out of Herriot Watt University, EnLightenment, a build-it-yourself smartphone microscope that was distributed around Scottish primary schools during the UN International Year of Light in 2015. The ENLIGHTENment project. students not only get to experience the beauty of the microscopic world, bUT ALSO experiment with the physics of light through assembling the microscope. further resources, results, lesson plans, and information can be found at the ENLIGHTENMENT website. This device is amazing! When I'm teaching my first-year undergrads to use a microscope, it can be extremely challenging to ensure that they are seeing what I'm seeing. What I love most about this device is that microscopy becomes a group experience. People can crowd around one of these devices all seeing the same image, take photos and videos on their mobile devices to save or share later, and share the experience of exploring the microscopic world together. The school kits also come with more materials than needed...which allows learners to tinker with their microscope until it reaches optimum output. Being the true scientists that they are, the team that designed the device above shared their whole design process in an open access journal so everyone can read it. This gave me the blueprint to try things on my own, and quite a few tips and tricks through the challenges they discussed. However, when I had a look at the parts used, I was a bit concerned. Screws, wing nuts, a little LED light - these things would be easy to find. But plexiglass cut in specific shapes? A research-grade laser lens from a scientific manufacturer in the US? Pretty quickly my smartphone microscope dreams began to blur...this was going to be pretty expensive ($100 shipping to New Zealand for ONE lens the size of my pinky? ), take a lot of resources from all over, and be challenging to convince others to join-in on. The warehouse and SYSTEM boxes are two of new zealand's national treasures. I found the materials I needed to make my scope for about $15, though there is a good chance you have most of these things (or similar enough) around the house, so the only thing you might need to spend money on is a lens. Lens: If you're in the US: Disassemble a cheap laser pointer and use the lens inside. Outside of US: Use AliBaba or AliExpress and you can find 20 laser lenses for ~$9.00NZD! I ordered two different sizes, but these ones worked best for me as they were wide enough to line up the phone lens. Legs: Each of the three legs is made of a long carriage screw (can be as long as you'd like...the longer the better), a washer, and a wing nut. I chose to have three legs because its really hard to get four legs in the same plane (i.e.- it wobbles no matter how hard you try). I know we're an advanced technological species and all, but a world where everything we make is a tripod would be a lot easier. Stage Attachment: Attach the stage (smaller box lid) to the larger with a single small screw with a bolt or wing nut. You will need: Sistema 5L lid, Sistema 1L lid, long carriage screws (3), washers (3), wing nuts (3), short carriage screw, bolt to hold on short screw, laser pointed lens (1 or 2), small LED light (optional), glass specimen slides (optional), bobby pin with tape (optional). The five unmarked holes were practice ones which did not work...you don't need them. Once you have all the parts, putting it together really doesn't take very long. You will need to a drill to make six holes: three leg holes (that are the width of your leg screws, two stage holes (the width of your small screw), and a lens hole (the width of your lens). If like me you don't have a drill or drill bit, I highly suggest making use of your social networks. There are always people out there who have these tools and are typically very happy to help you out, especially considering how low-key this project is. I stopped by Tinker School one morning during their summer programmes, and a crew of very handy kids helped me with a screw driver and troubleshoot the design issues I had! Thanks guys! Let's look at that logo! So far this has been really fun to play around with! I'm looking forward to trying it with my cell biology students once the semester starts and we can start looking at some onion cells, Elodea, and pond water! This project is by no means perfect, but for the cost and ease of set-up, its has incredible value. I'll be working on tweaking and improving mine...I'd like to find longer screws so I can fit my adult arms under the stage, and perhaps try out another lens with a longer focal length so samples can be further away from the lens for protection. Will definitely share more results as they come in! !!! IF YOU LIVE NEAR DUNEDIN !!! We're going to be making more of these microscopes at Fun Science, which means we'll be ordering more lenses soon! If you'd like to get your hands on a lens please come along to Fun Science or get in touch and we'd be happy to provide you with info and/or lenses to make you're own at home! Have a great week folks, let us know if you have a go at making one of these! Welcome to Life...and Science Communication! 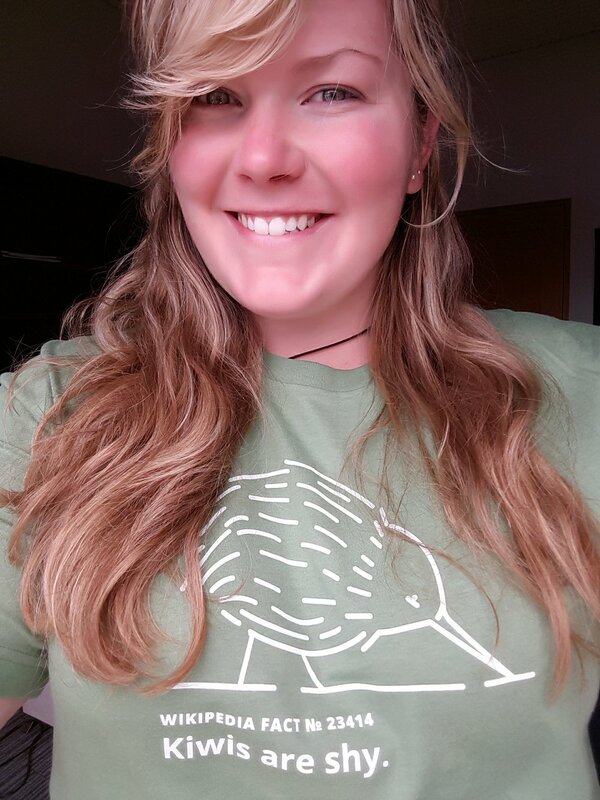 This is a space to engage with the art and science of communication, share insights into my SciComm doctoral adventure, and discuss the amazing opportunities to get involved with science around Dunedin, NZ! 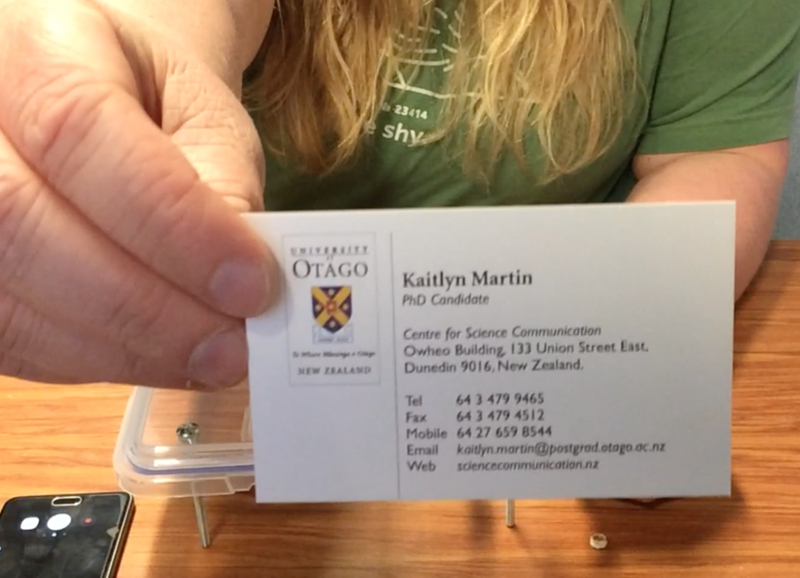 About Kaitlyn: Science communicator, PhD Candidate, Evolutionary Biologist, Aspiring Astronomer and full-time Lover of life and scicomm. Add your email address to receive new blog posts via email!